Strokes are only supposed to happen to older people — or so Andrew Fisher thought. At 35, Andrew owned two businesses and was engaged, raising his twin toddler sons. But his American Dream was shattered in March 2009 when he was suddenly stricken by a major stroke. This catastrophic illness devastated his health, leaving emotional scars and financial ruin in its wake. But thanks to an innovative neurologist at the University of Louisville Hospital, Andrew survived, making an amazing recovery. Forever thankful for a second chance at life, Andrew is giving back as an advocate for stroke survivors and their families. 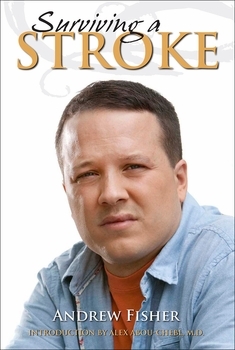 He fervently believes that everyone needs to know a stroke's signs, symptoms and risk factors. His story is riveting and alarming, yet uplifting and hopeful. A stroke can strike at any age, but it can be defeated if treated early. Andrew Fisher is living proof of that.